NEW YORK - It’s almost as though there’s too much good news in Japan. So much that some investors are starting to expect the Bank of Japan to lay groundwork for easing off its stimulus — and the central bank is falling over itself to convince them that policy is not going to change anytime soon. My how things have changed! Instead of talking up the economy and the chance that deflation might be licked, the BOJ is engaged in a concerted effort to slap down market moves that imply some withdrawal of stimulus may be on the horizon. Policymakers seem petrified by the idea of a stronger yen and the risk it could undo progress on inflation. That’s a mistake. By being so sensitive, the BOJ risks snaring itself in a web at least partly of its own making. The more it tries to bat away any whiff that markets might be on to something, the more it compels itself to keep doing so — regardless of economic developments. That makes it more likely that when there is a real shift in policy that acknowledges the brighter picture, it will come either too late or be met with some kind of market ruction. Yield-curve control can allow for a stealth taper, but what if that taper doesn’t need to be so stealthy? Let’s see if it can allow for an overt taper. The BOJ is also doing itself and the public a disservice by not articulating a time line or some kind of sequencing for how it will begin to dismantle the plethora of easing tools it has built up over the years. It’s true that many of the world’s largest central banks have engaged in vast stimulus over the past decade, largely through cutting rates to around zero and embarking on forms of quantitative easing, the massive bond buying that’s kept rates super low. It’s also true that era is increasingly in the rear-view mirror. In the U.S., the Federal Reserve has signaled it will raise interest rates several times this year and continue to pare its balance sheet. All of this was telegraphed far in advance. Across the Atlantic, the European Central Bank finally seems comfortable with the word “taper.” The ECB’s quantitative easing program will run at reduced strength until September. Sometime after that, rates will increase. 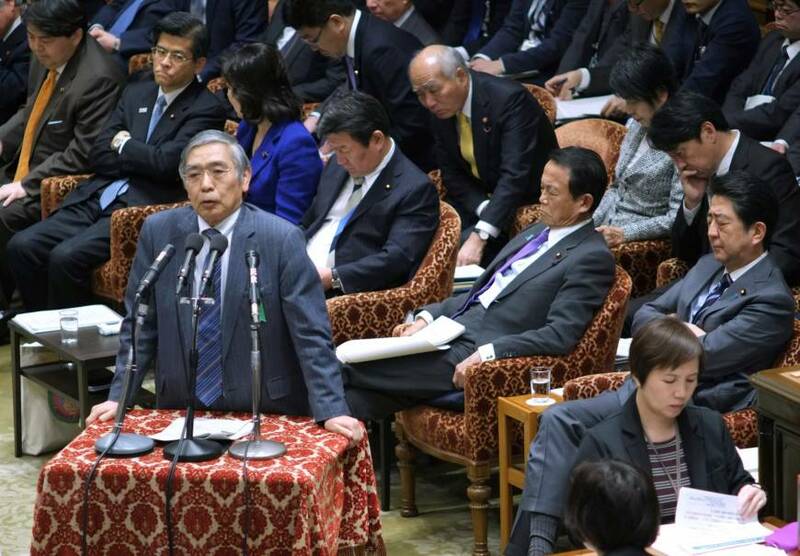 Despite its iconic status as a pioneer of radical easing, the BOJ hasn’t touched sequencing and doesn’t seem to want to even countenance a discussion of economic developments that would likely justify even a few gradual steps. What to do about the BOJ’s purchases of exchange rate funds? It won’t say. When would its purchases of real estate investment trusts wind down? Crickets. Would a change in its ¥80 trillion annual purchase target come before a change in the 10-year yield target? Don’t even go there. As for official interest rates? Get out of here. So this is the vacuum in which investors are left to figure out what is going on. They rightly see Japan’s economy heading in the right direction, and they rightly look to anticipate what comes next. But every time the yen strengthens, the truncheons come out. BOJ Deputy Gov. Kikuo Iwata’s comments last week were illustrative. “The yen is gaining strength slightly more than we expected, and I think that’s probably because investors don’t fully understand the Bank of Japan’s monetary policy,” Iwata said. That’s pretty confrontational talk for a central banker. Iwata may have unloaded because his term is drawing to an end and he has nothing to lose — but regardless, his comments are indicative of a siege mentality at the moment. What a pity. Japan has a good news story to tell and investors are buying it, or want to. If only the institution presiding over it wasn’t running from it. 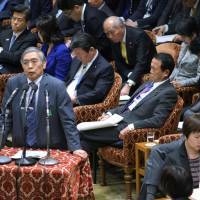 It’s entirely possible that things may become clearer once BOJ Gov. Haruhiko Kuroda’s future becomes clearer. His term is up in April and many observers of the Tokyo policy and politics scene say he has a good shot at re-appointment. No governor since the 1950s has been given a second term. Kuroda would be an exception and, as I wrote last year, deservedly so. If he can clear that hurdle, it will be largely because of Japan’s economic progress under his stewardship. Time to tell that story unapologetically and, more importantly, what comes next.